For more than 10 years, KinLogix has been acclaimed by hundreds of clinics across Quebec and is recommended by over 90% of users. Take advantage of a simple, effective and powerful cloud-based clinical management solution, designed to improve the efficiency of your medical practice. As a cloud-based EMR, stay connected to your clinic and patients in the office and on the go. Upload photos to patient charts, check your schedule, see encounter notes, and more with the EMR Mobile app. Access a frequently updated medication library, medical interactions and dosage calculators. Plus, get convenient drag and drop functionality to easily prescribe and save preferred dosages. Use a customizable, clinical dashboard for a centralized view of patients. You can also create your own templates and apply them to multiple patients with similar conditions for more efficiency. KinLogix EMR is a cloud-based solution used in medical clinics that captures, organizes and displays critical patient data in one integrated patient record. Through a clinical and operational reporting tool, monitor selected key performance indicators to allow easy population reminders, calling list generation and follow-ups. 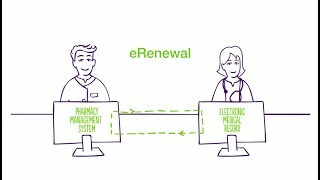 Discover how pharmacists and physicians are streamlining their prescription renewal process through eRenewals directly from their EMR. Process prescription renewal requests from pharmacists directly from your EMR, and help put an end to phone tag, faxes, and transcription errors. Let patients manage their own check-in and update information at a digital kiosk in your clinic, reducing reception desk traffic. Hardware also available. 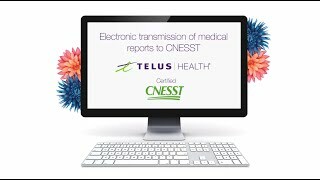 Move your data to TELUS Health with confidence. One size does not fit all. Benefit from customized training tailored to your clinic and workflow needs or standardized learning through our user webinars and events. Get in touch with a TELUS Health representative. Access FAQs, customer forums, training materials, and more.